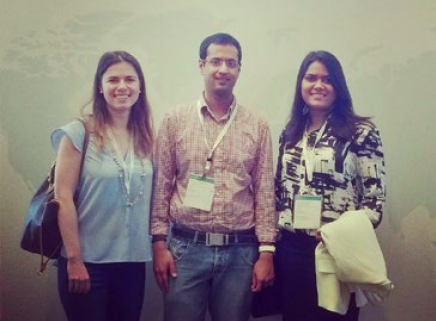 Ayushman, Anastassia and Anjita not only share some amazing memories from the MBA world summit, but also the same employer – Microsoft. While they all work in different countries (and continents), they recently ran into each other at Microsoft’s annual conference at Orlando, where they had the chance to attend an MBA training program, meet the senior leadership, paint Disneyland red, as well as watch One Republic and Katy Perry perform live. It was great to see familiar faces in an unexpected place and they made good use of the opportunity to remember the good times in the Hong Kong and Spain MBA World Summits. They do a variety of different roles in different parts Microsoft – Ayushman is a Product Manager in the US, Anastassia is a Partner Tech Strategist in Germany and Anjita is an Account Executive in India.